Add some low-end, with high-end treatment. 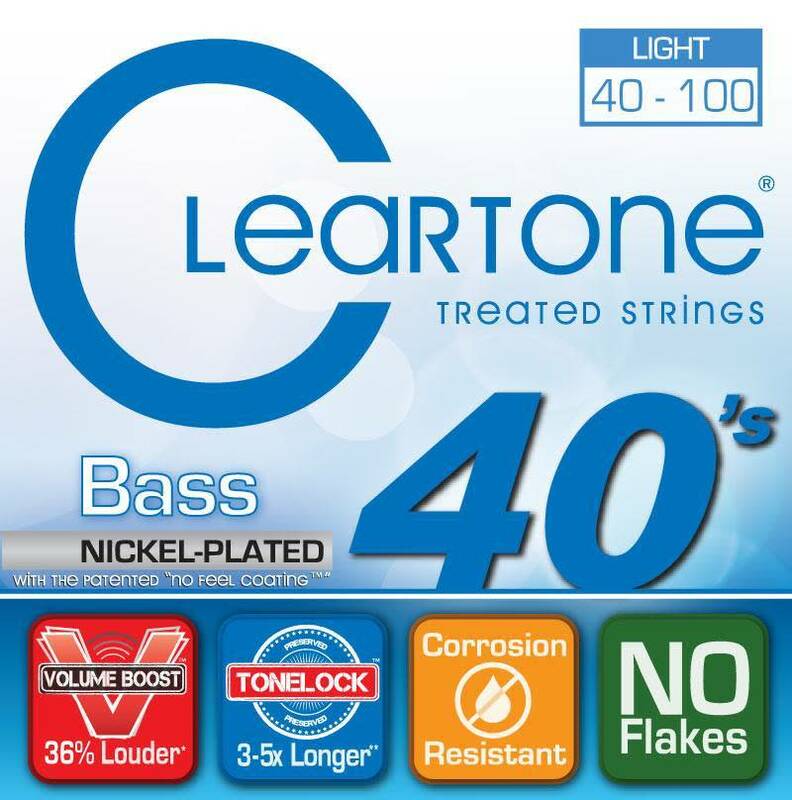 Cleartone winds bass strings, and treats them to last up to a whopping 5 times longer than your average set. Add some low-end, with high-end treatment. Cleartone winds bass strings, and treats them to last up to a whopping 5 times longer than your average set. Offered in light, medium and heavy gauges with 4 & 5 string options. Many keep their bass strings on for longer than most acoustic & electric guitars due to the higher cost to change them, so why not choose strings that last, and I mean SERIOUSLY last a long time. Today, 2 options exist for extended life strings: coated, and treated. While coated strings last longer, the coating inhibits the natural vibration of the string so they tend to sound pretty dull right out of the package. Also, the coating flakes off after a while. Cleartone's treatment on the other hand is 3o times thinned thatn the leading brand's coating, and they guarantee non matter how hard you play on them, they will never flake one bit. When you string up a fresh set of traditional bass strings, you get that bright poppy tone that you just wish would just last forever. Well, that may be impossible, but they did the next best thing at Cleartone. The Cleartone treatment, when applied to bass strings, keeps that exact tone you're looking for up to 5 times longer, without all of those nasty coated side effects. You'll still get all of that bright tone, and traditional feel you're used to. It'll just last WAY longer.